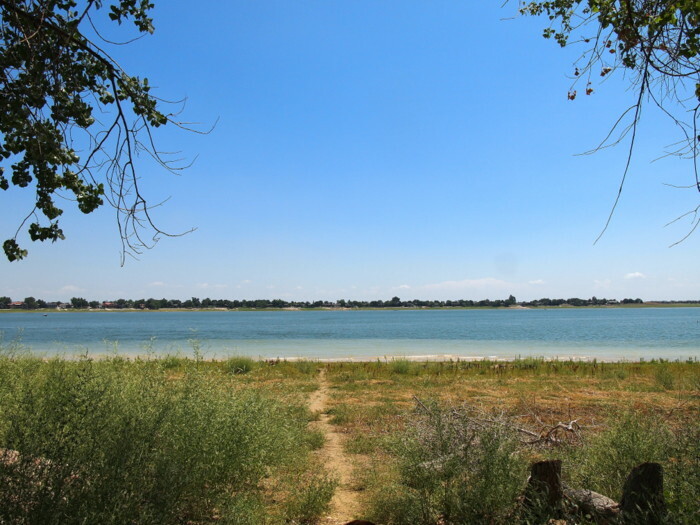 This week we’re staying at Boyd Lake State Park in Loveland. When planning our route through Colorado this wasn’t our first, second, or even third choice for a place to stay in this area. We really wanted to stay in Fort Collins because it sounded like a fun, hip college town with an interesting downtown area. 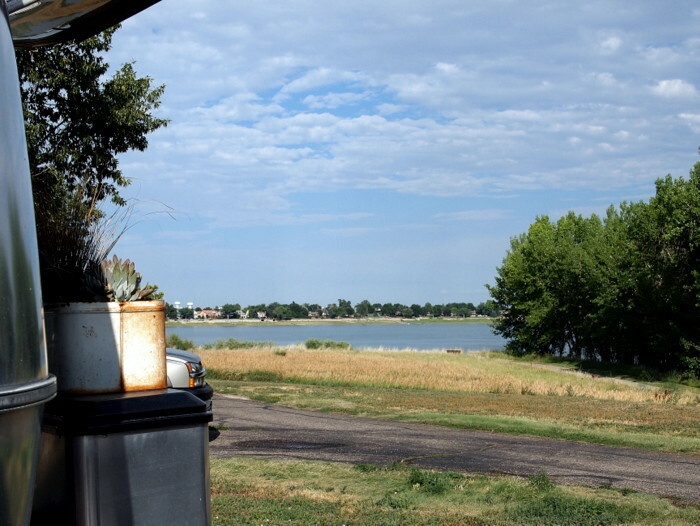 Unfortunately the options for RV parks and campgrounds in Fort Collins are kind of limited. There was the Horsetooth Reservoir which sounded nice, but was completely booked for the dates we wanted to stay, a KOA right in town, which goes against our “absolutely no KOA” policy (too pricy and kid oriented for us), or there were a number of nice sounding small campgrounds 30 minutes or more north and west of town. Unfortunately, the cell coverage at these places was either weak or non-existent. 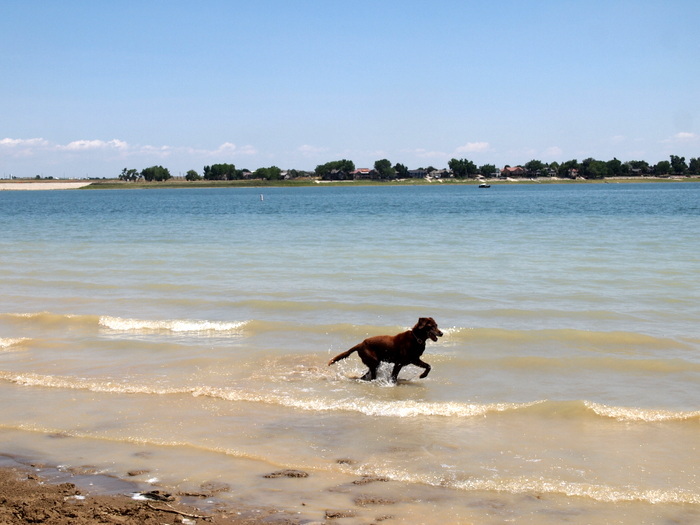 So that’s how we ended up 30 minutes south of Fort Collins at a Boyd Lake State Park in the middle of suburban Loveland. I am struggling to come up with a way to describe Loveland. The first word that comes to mind is “meh”. Meaning not good, not bad, nothing special, but nothing horrible either. Basically Loveland is a suburb of a large metropolitan city filled with lots of chain stores, restaurants and cookies cutter developments This is this kind of town where I would never choose to live long term, but for a one week stay it will do. After spending so long in small mountain towns, the shopping has been convenient as we can pretty much buy anything we want within a 10 mile radius. I would probably describe the campground in the same way. Not bad, not good- just okay. 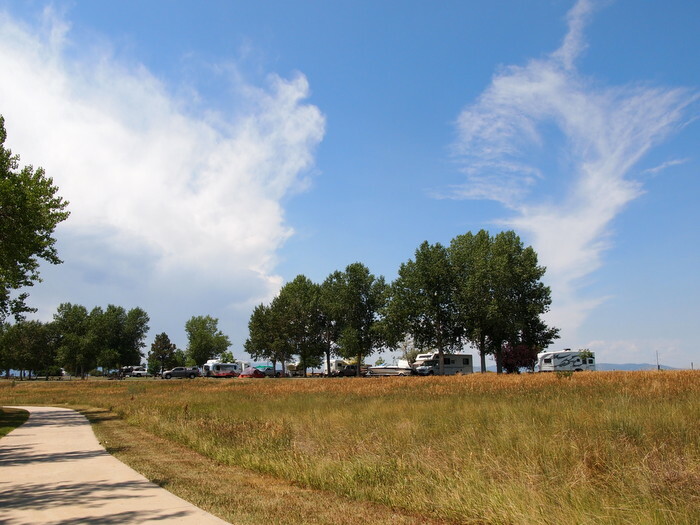 The sites are large with a gravel sitting area for the picnic table and grill, and grassy strip between sites. There are a good amount of trees, but we ended up with a site that doesn’t have any trees near enough to provide us with shade. Some sites have water views. Ours has what I would call a partial view. Then there’s the lake. 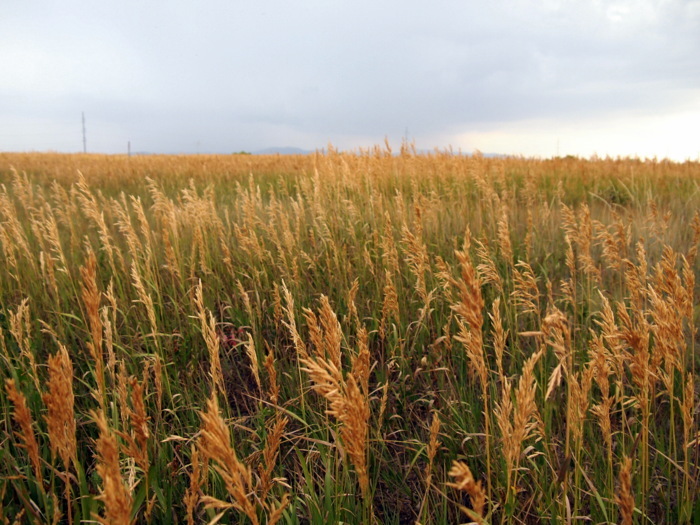 It’s a large, pretty lake with lots of grasses and marsh-like plants lining the shore. The thing about this lake is that its best admired from afar. Why? Because starting about four feet from the water is a thick layer of slippery, flip-flop gobbling clay-like mud that will cause you (okay me) to squeal in disgust as you try unsuccessfully to remove yourself from this muddy mess. 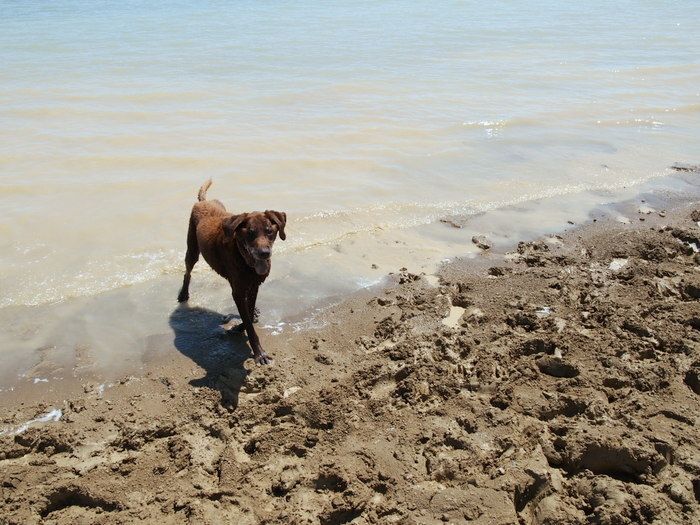 The mud has also turned the water, at least near the shore, an unappealing murky color. Phineas doesn’t let a little mud scare him off. It appears that not everyone shares my opinions on the lake though, as we have seen plenty of people lounging on the shores, and even a few brave soles in the water (maybe they like the feel of mud between their toes?). I wanted to like this lake, I really did. Almost everyday this week I have dutifully walked Phineas down to the shore and encouraged him to wade through the mud far enough to get his body wet in the shallow murky water. It never won me over though, and one day I had a particularly unsettling experience when I had to brave the mud to retrieve the frisbee that our old boy refused to retrieve on his own (he’s gotten very disagreeable lately- we call it his old man syndrome) and my flip flop actually broke when I tried to lift my foot out of the sticky mud. After that I was pretty much done with the lake. Other than that there’s not much to tell about this week. It’s been very low key with no grand hikes or adventures. Which has been a nice change for us. So often we arrive somewhere that is so fantastic it’s almost overwhelming to try and experience as much as possible. Not a problem around here. That’s not say there’s nothing to do around here. There’s actually tons of hiking within a short drive. A short drive that we’ve chosen not to take. 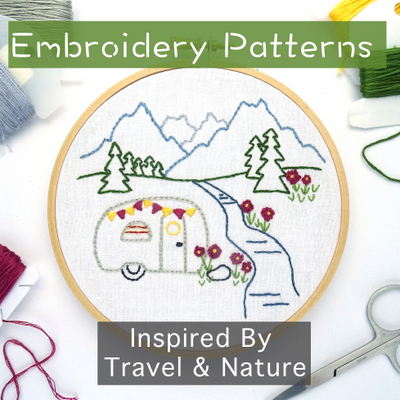 Instead we’ve spent most of our time around the campground- working, cleaning, cooking, walking on the bike path and taking occasional trips into town. We did have one bit of excitement last night when we drove up to Fort Collins for a night out at a local brewery. There are quite a few choices in Fort Collins if breweries are your thing. 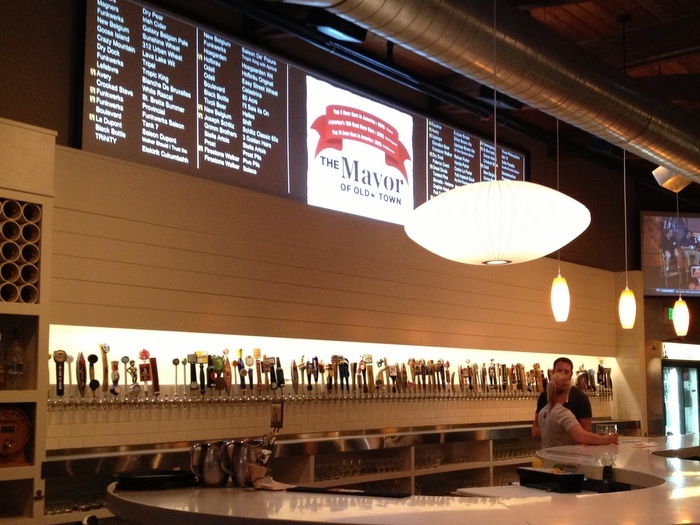 After a bit of research we chose The Mayor of Old Town where the major draw is the astounding 100 beers they have on tap. Many of the beers they offer are local to Colorado, and a good amount even come from breweries right in Fort Collins. 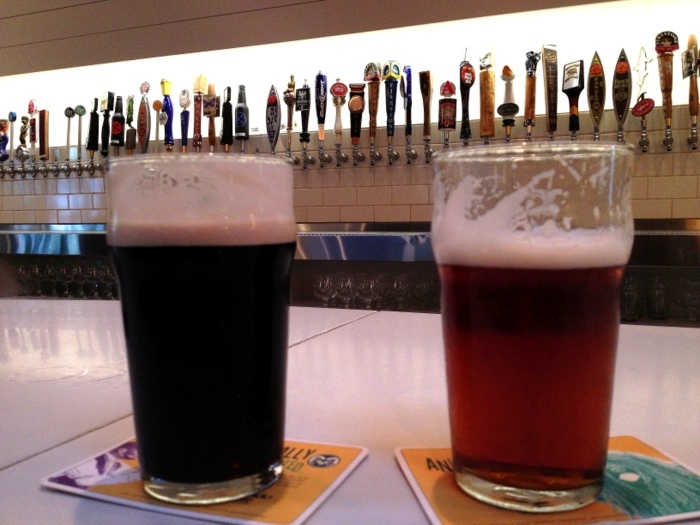 We each tried two different beers and something off their simple, yet yummy menu. Everything was fantastic and it was great choice for out last night out in Colorado. Tomorrow we leave Colorado and head north through Nebraska for a night, and then onto South Dakota where we will spend next week. I don’t doubt there will be more pictures of grass fields coming up this weekend. I hope you won’t feel ‘meh’ about our place! We don’t have a lake on our property but are near a bunch of them. It’s not lush and nothing is convenient. On the upside it’s free and your friends are here! You are following almost the same route that we took, only we could not find a place to stay in the Fort Collins area so we were at the Loveland Walmart. We are now in SD getting our registration and license etc. and will be staying here until the end of August. We may run into you up here! We landed a work-camping job at Happy Holiday RV park. There is lots to do in the Black Hills area. We are staying down in Hot Springs, SD. Thought it might be quieter down there. We’ll be around for a week. 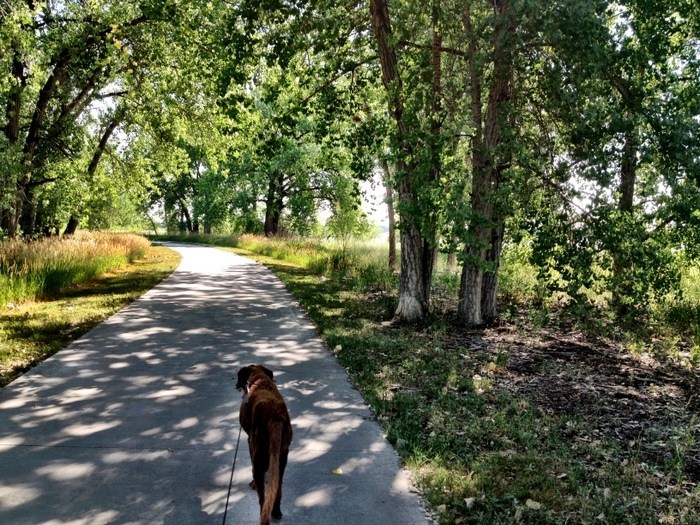 Sorry about the lake…yuck! But so glad Phineas had a great time! I like the relaxing part. We have been doing alot of that in Polson.